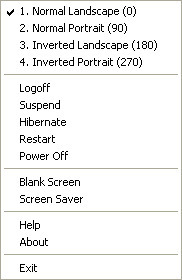 Activate the current screen saver or blank the screen using the power saver settings. Logoff the current user and securely lock the work station. Change the power status of the machiChange the power status of the machiChange the power status of the machine by putting the machine in standby, hibernation, or shutting it down completely. 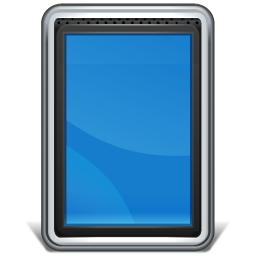 Change the screen orientation in 90 degree increments on tablet PCs (menu Change the screen orientation in 90 degree increments on tablet PCs (menu options not available on non-tablet PCs).